By bombarding an ultrathin semiconductor sandwich with laser pulses physicists at the University of California have created the first ‘electron liquid’ at room temperature. The breakthrough, published online on February 4th in the journal Nature Photonics, offers a possible avenue to the creation of devices which are capable of detecting light at wavelengths between infrared and microwave. 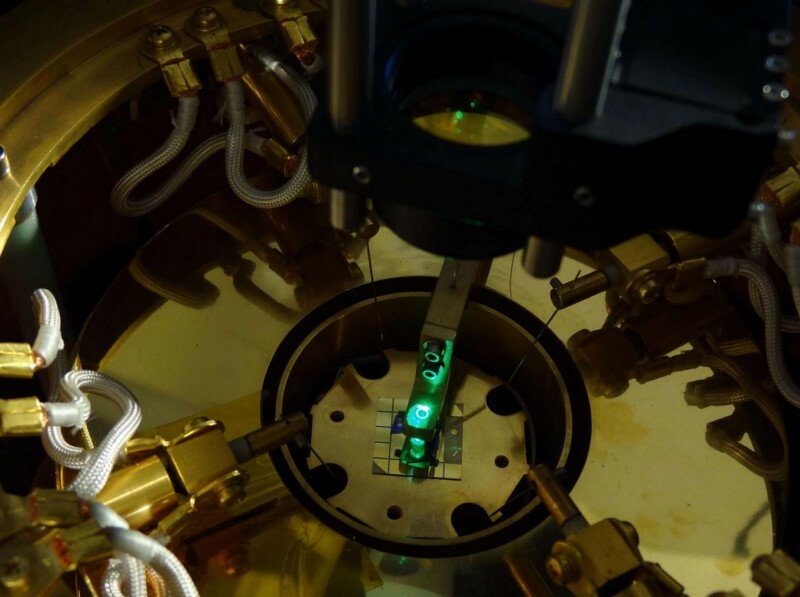 In addition to diverse applications for these devices in space communication, cancer detection and scanning for concealed weapons — the research could also enable exploration of the basic physics of matter at infinitesimally small scales ushering a new age of quantum metamaterials. However, in their experiments, the researchers detected evidence of condensation into the equivalent of a liquid. Such a liquid would have properties resembling common liquids such as water, except that it would consist, not of molecules, but of electrons and holes within the semiconductor. Gabor continues: “We were turning up the amount of energy being dumped into the system, and we saw nothing, nothing, nothing — then suddenly we saw the formation of what we called an ‘anomalous photocurrent ring’ in the material. In further studies of the electron-hole ‘nanopuddles’ the scientists will explore their liquid properties such as surface tension. To both pump energy into the semiconductor sandwich and image the effects, they used “multi-parameter dynamic photoresponse microscopy” developed by Gabor and Arp. In this technique, beams of ultrafast laser pulses are manipulated to scan a sample to optically map the current generated.